I love a new twist on an old theme. 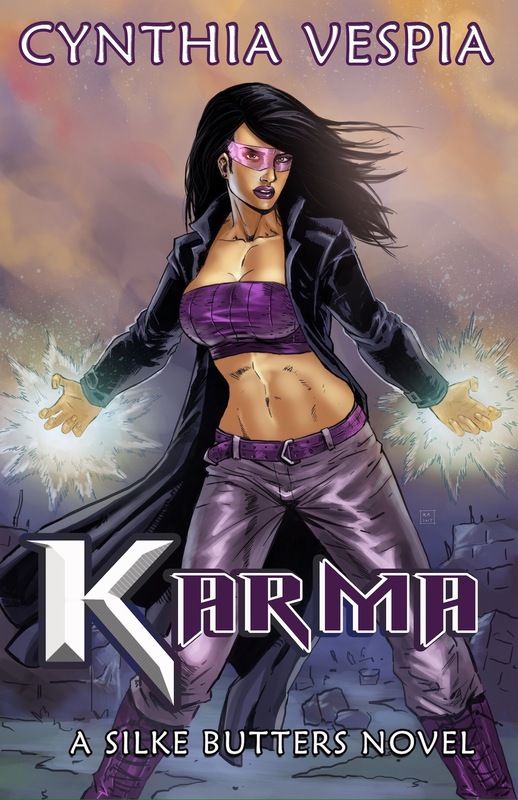 So when I saw the summary for Karma, by Cynthia Vespia, I couldn’t stop myself from wanting to know more. It’s now been added to my to-read list, and I’ looking forward to getting my hands on it. In the meantime, I’ll have to make-do with helping to reveal the book’s cover. Click on through to check it out, then read more about the book itself. I kind of love the look of this cover, the way it throws back to traditional comic book style. It really helps set the mood.